We often think of wellness as getting annual physicals, exercising, eating right and getting a good night’s sleep. It encompasses a lot more than that, however! 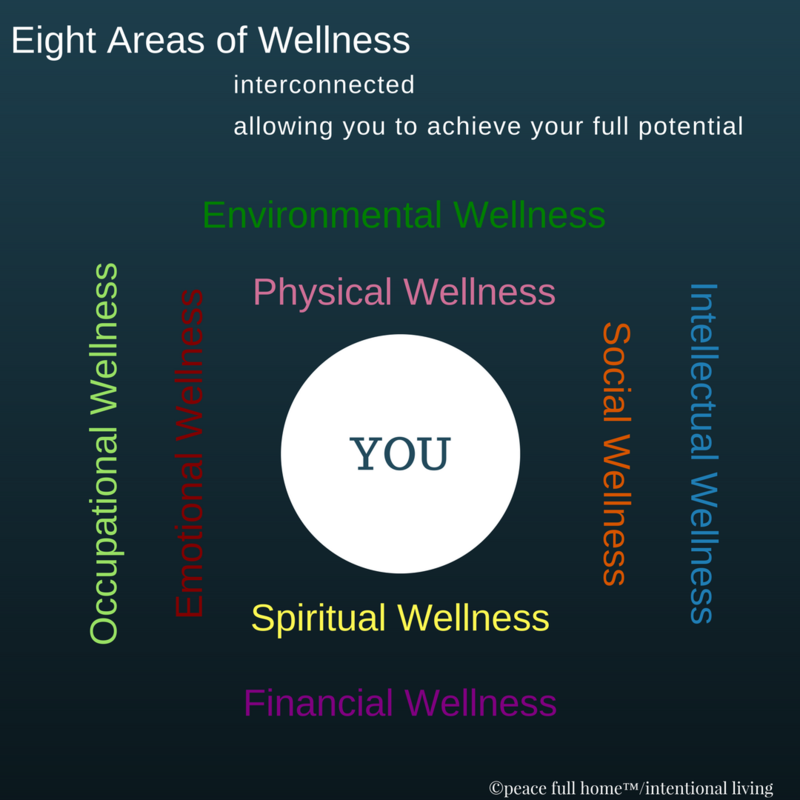 The integration of the different areas of wellness is what allows you to achieve your full potential. Some of us excel in being “well” in all eight areas, but most of us (me included) never manage to juggle all of them simultaneously. Wellness, in many ways, is about choices—decisions that empower you as you discern what you desire and require in life. Sometimes, choices are profound—where to live, what career to pursue. Others are relatively trivial—whether to stop for coffee, what shirt to wear. You make selections everyday; everything from what you’re going to “spend” your time on to how you interact with each person you see. With each preference you make one more statement affirming what’s important to you. Unfortunately, wellness is not always on the priority list. Through choosing we create a path—a movement in a specific direction. The act of choosing moves energy, setting what you want into motion. Peacefulness, and the ability to live fully into your highest potential (physically, emotionally, intellectually and spiritually) are helped along by being well. So, today, let’s talk about choices we can make on the path to environmental wellness. How you function and live in your home (or work in your place of business), is a by-product of the way those spaces function for you. It’s key in overall wellness. By reducing physical chaos, you can change your life. There are deep-rooted, personal and situational reasons why some people end up with too many possessions, but for most of us the reasons are more simplistic: feeling overwhelmed by the process, wondering “what if I end up needing it?”, holding onto things left to you by someone who’s passed away, or believing that what we own is a sign of our success. From a Feng Shui perspective, getting rid of excess possessions invites wellness into our spaces through flow, energy, clarity and opportunities. Clutter roots you and cuts off breathing space, leaving you little, or no room to grow. You’re like a root-bound plant, unable to flourish. When you own too many things, they end up owning you. You move them, store them, clean them, possibly insure them, and at points probably trip over them. Most people only use 20% of what they own, 80% of the time (The Pareto Principle), so make that 20% matter. Estimates are that most of us are indoors 80% of the time, so it’s imperative that the spaces we live and work in add to, rather than detract from, our sense of wellbeing. The environments we’re in affect not only our moods, but also how productive we are. When the places we spend our time in feel chaotic, or don’t function well, our energy is drained away, and we become less energetic and more anxious. The interiors of harmonious homes flow together in a way that creates a sense of calm. Rooms that feel connected are the background for spaces where we feel comfortable and at ease. If you sense that your environment doesn’t feel right, that’s an indication that there’s work to be done, but don’t aim for perfection. Some spontaneity keeps things alive and expressive of the life you live. After all, if everything’s perfect, you’ll end up with a show house, not a home. Every home has a physiognomy—an appearance that offers insight into its “character”, and the people who live in it. Work toward environments that foster wellness, with harmony and peacefulness as their calling cards. Next week, we’ll talk about emotional, social and spiritual wellness. You, dear reader, are my marketing department. 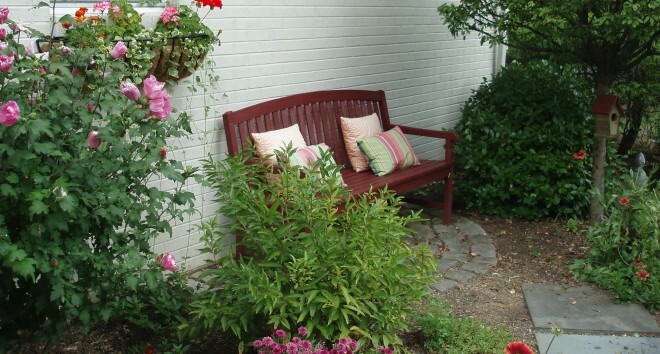 This entry was posted in Peace Full Home and tagged choices, clutter, environment, environmental wellness, health, Home, physiognomy, spaces, wellness. Bookmark the permalink. Thank you! Peace, blessings and love to you, as well, dear Val.